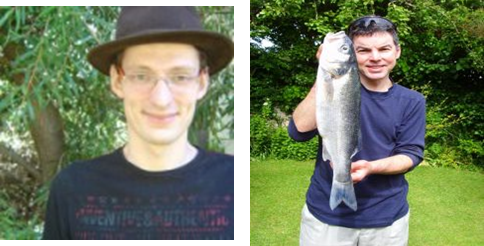 Antoine D. and Graeme H.
Title: The accuracy of Fastloc-GPS locations and implications for animal tracking. Authors: Dujon, Antoine M.; Lindstrom, R. Todd; Hays, Graeme C.
Brief summary of the paper: Over recent years, a major breakthrough in marine animal tracking has occurred with the advent of Fastloc-GPS that provides highly accurate location data even for animals that only surface briefly such as sea turtles, marine mammals and penguins. We assessed the accuracy of Fastloc-GPS locations using fixed trials of tags in which >45000 locations were obtained. Procedures for determining the speed of travel and heading were developed by simulating tracks and then adding Fastloc-GPS location errors. The levels of detail achievable for speed and heading estimates were illustrated by using empirical Fastloc-GPS data for a green turtle (Chelonia mydas, Linnaeus, 1758) travelling over 3000km across the Indian Ocean. The accuracy of Fastloc-GPS locations varied as a function of the number of GPS satellites used in the location calculation. For example, when Fastloc-GPS locations were calculated using 4 GPS satellites, 50% of locations were within 36m and 95% within 724m of the true position. These values improved to 18 and 70m, respectively, when 6 satellites were used. Simulations indicated that for animals travelling around 25kmh(-1) (e.g. turtles, penguins and seals) and depending on the number of satellites used in the location calculation, robust speed and heading estimates would usually be obtained for locations only 1-6h apart. Fastloc-GPS accuracy is several orders of magnitude better that conventional Argos tracking or light-based geolocation and consequently will allow new insights into small-scale movement patterns of marine animals.